5 July 2018, at 12:00a.m. The Canadian Pork Council says research related to animal health, animal welfare, nutrition, advances in building and equipment design and pork quality will be among the pork sector's top priorities as it moves forward on research over the next five years. The federal government in partnership with the pork sector have allocated 18.5 million dollars through the Canadian Agricultural Partnership's AgriScience Research Cluster Program to Swine Innovation Porc to fund research over the next five years. "The priorities are consistent over time as we go forward - can we raise these hogs in a more efficient manner. "Animal welfare is obviously a big ticket item for us and a big ticket item, not only for us but for Canadians at large and in our consumers globally, so we have some projects over animal care. "We have projects around building and equipment - how do we farm more efficiently? "We are large consumers of energy and if we can more efficiently use that energy, that speaks for our cost of production. "Obviously pork quality comes into play. We have to produce a product that's well received by consumers, not only in terms of nutrition but in also in terms of eating quality. "Then, perhaps even more importantly, would be animal health. We are very cognizant, in Canada, of the challenges to our industry related to animal health and certainly that's extraordinarily important in the context we see now where we're seeing increasing pressure on stewardship of antimicrobials. 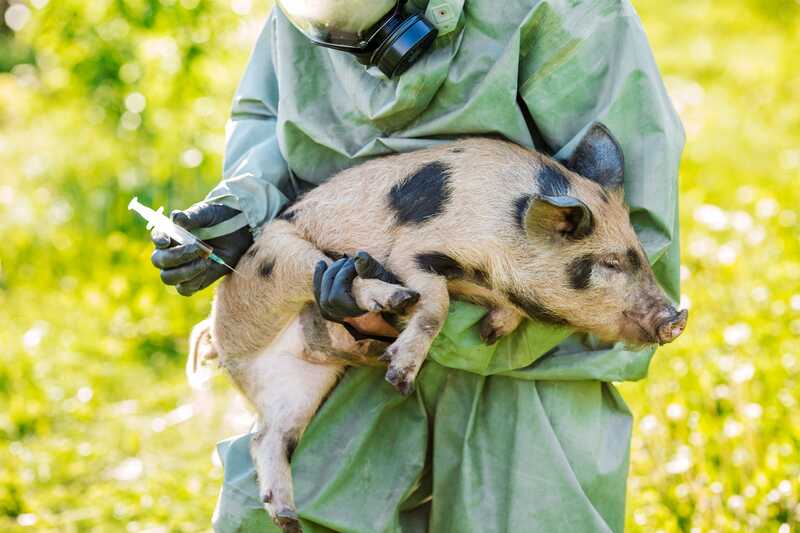 "These things line up - are there more effective ways to maintain the health of our animals and as such be better stewards in our use of antimicrobials? "Those are the key priorities for the programme." Ross says swine Innovation Porc and the funding that comes into from the provincial organisations matched by Agriculture Canada is a real demonstration of the ability of industry and government to work together.